Don't go barefoot in the studio again! Natural Stick-e Socks are perfect for yoga! 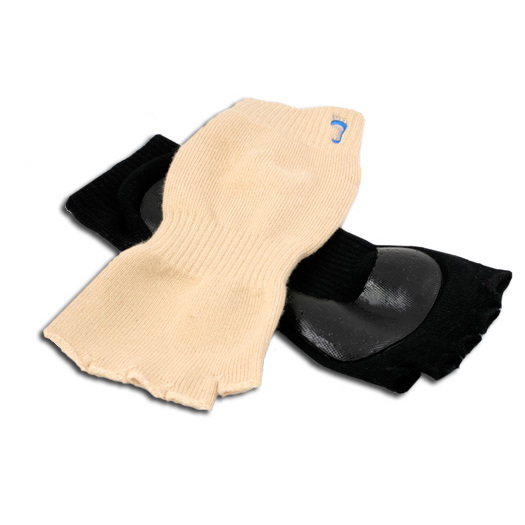 These unique socks provide a non-slip hygienic solution for all your barefoot activities. They have cutouts for your toes to grip the mat and have a non-slip Stick-e sole. The all natural bamboo material absorbs sweat and provides a good grip to prevent slipping to make for a safer, more effective workout. The exposed toes provide the freedom of movement and tactile ability required to effectively grip the mat, floor, or equipment. The smooth stick-e bottom is durable and smooth - you will not feel any bumps or projections through the fabric. They are also great protection in studios for shared mats and equipment. The socks are machine washable / dryable in the included mesh bag. 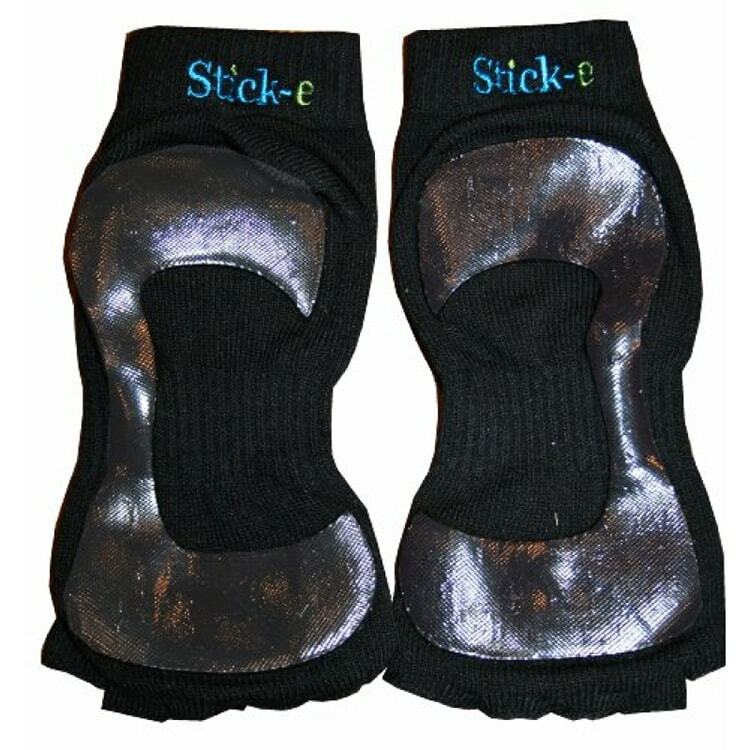 Yoga Natural Stick-e Socks are perfect for yoga, Pilates, dance, gymnastics, martial arts... even pedicures! A bit fiddly to get on between the toes when your feet are hot but once on they do the job.